A Columbia County Circuit Court judge issued a written opinion Tuesday, July 3, finding Daniel A. Butts, the man accused of shooting and killing Rainier Police Chief Ralph Painter in 2011, should stand trial. Butts, who last appeared in court in April, has been confined to the Oregon State Hospital where he receives treatment for what state doctors have classified as schizophrenic symptoms. 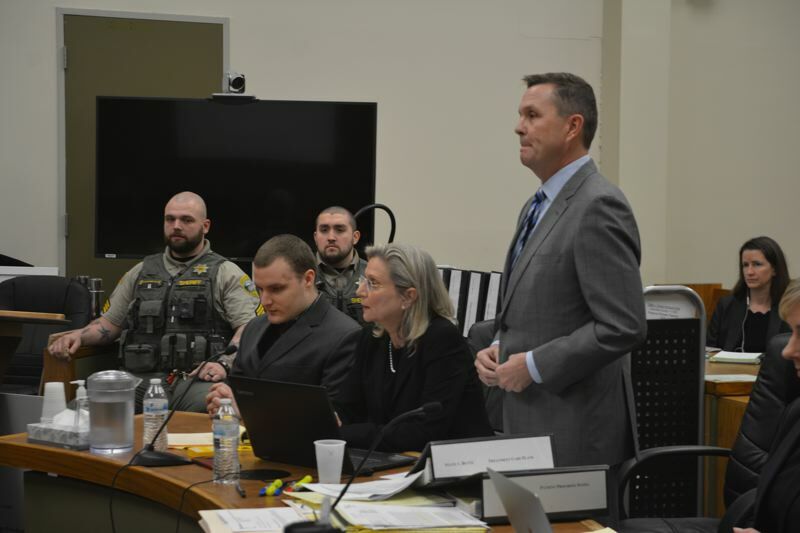 In February, a series of hearings were held to determine the defendant's ability to aid and assist in his own criminal defense. Grove's opinion letter Tuesday sided with state prosecutors who argued Butts has demonstrated significant improvement in his symptoms since his arrest. "There is no seeming dispute that the defendant suffers from schizophrenia," Grove stated. "His symptoms have greatly diminished as a result of his hospitalization and forced medication." Grove indicated Butts "can clearly identify the phases of the trial process and the parties to that process," and "can clearly describe the events of the shooting and the days preceding it." Grove further expressed concern over Butts' alleged statements to state hospital employees that he believes he will be found not guilty, but noted that Butts also acknowledged he could be convicted and face the death penalty. Oregon currently has a moratorium on executions. "Defendant has continued to hold to the belief that there is a 100% chance that a jury will accept the shooting was justified," Grove stated. "A proposition that is completely unrealistic. ... Defendant then admits that his belief is an attempt to be positive in light of the serious nature of his predicament." The judge stated Butts knows that his only chance of freedom is a not guilty verdict by a jury. Conversely, a verdict concluding Butts was guilty except insanity would likely result in a life of institutional confinement. Trial dates have been set for February. Alan Painter, brother of the victim, called the judge's ruling "a long time coming." "Some would say, 'good now you can get closure.' True to a point, but I don't think anyone who has gone through a similar murder case would say that you ever get closure. You may be able to close a chapter, but not true closure. One learns to create a new normal and function as normal as possible. It is a step forward and that is good." "The record is clear: not a single expert in this case testified that Daniel Butts met the Dusky standard in the context of a capital case," Gentry stated. In fact, it was just the opposite, evidence from four different evaluators who conducted eight separate evaluations, concluded that Daniel Butts, today, is not fit to proceed in [the] sentencing." Butts was arrested in January 2011 after Painter, the Rainier police chief who responded to a call of a possible break-in at a car audio shop, was found dead near the scene. Police say Butts got Painter's service weapon and used it to shoot and kill the chief. Butts faces multiple aggravated murder and attempted murder charges.